Pay 20% Less for Medical Procedures; Your Voice Matters; Take Our Rx Survey! At a time when health care spending seems only to go up, an initiative in California has slashed the prices of many common procedures such as knee and hip replacements, colonoscopies, and cataract removal. The California Public Employees™ Retirement System (CalPERS) started paying hospitals differently for its members in 2011, setting a maximum contribution toward what a hospital was paid for several elective procedures. Under the new approach, called reference pricing, patients who chose to get a procedure at a higher-priced hospital paid the difference themselves. The results of reference pricing were remarkable – CalPERS saw 20 percent price declines for reference-priced services. Read the full story here. Nearly 150 people came together August 11 to discuss how to collaborate to get the 5 rights, right: Right drug, right price, right setting, right patient support, right data. If you were among the attendees, please take our survey! Your feedback will be invaluable in helping us shape our vision for transforming the specialty drug marketplace in Minnesota and beyond. 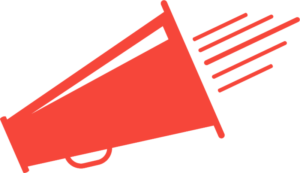 September Member Meeting: Let Your Voice be Heard! Whether you attend member meetings regularly, or it’s been awhile since you’ve come, you won’t want to miss this one! As a member-led coalition, we control our own destiny by choosing the most relevant projects and activities – and every member voice matters! We will be planning for the future during our September meeting, and invite you to come prepared with input, or to simply react to ideas presented by your colleagues. Learning Networks: What issues are most important and offer the greatest potential for learning and impact? Member Meetings: What topics are most relevant to cover, and what peer organizations would you like to hear from? Annual Employer Leadership Summit: What theme, speakers and format would be most valuable for you? Annual Employer Benefits Survey: What “burning” questions would you like us to include in the Survey for 2017? Marketplace Leverage: How can members use our collective voice to drive quality and value in this market – and beyond? Overall: What can the Board and staff do to ensure that The Action Group provides value to you and your organization? Receive a “Passport” to indicate participation in all topics, and you’ll be eligible for a $50 gift card drawing! 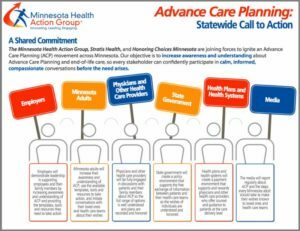 With the 276 health care clinics across Minnesota that qualified for 2016 Minnesota Bridges to Excellence (MNBTE) and the Quality Incentive Payment System rewards announced, local, regional and national media attention has been high. A full list of media coverage can be found here. And if you missed the photo gallery and meeting materials, check them out! 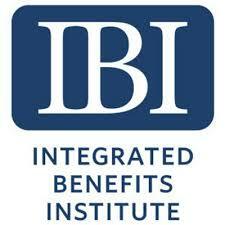 Action Group employer members are invited to join the Integrated Benefits Institute (IBI) and Target on October 13, 2016, in Minneapolis for an engaging conversation on the challenges and successes of integrating employee health, productivity and absence management programs. The discussion will focus on mental well-being and productivity: How does improved resiliency impact the workforce? Click here to register or to learn more about this exciting half-day program. Click here to view a new blog about how North Memorial is spreading the word!